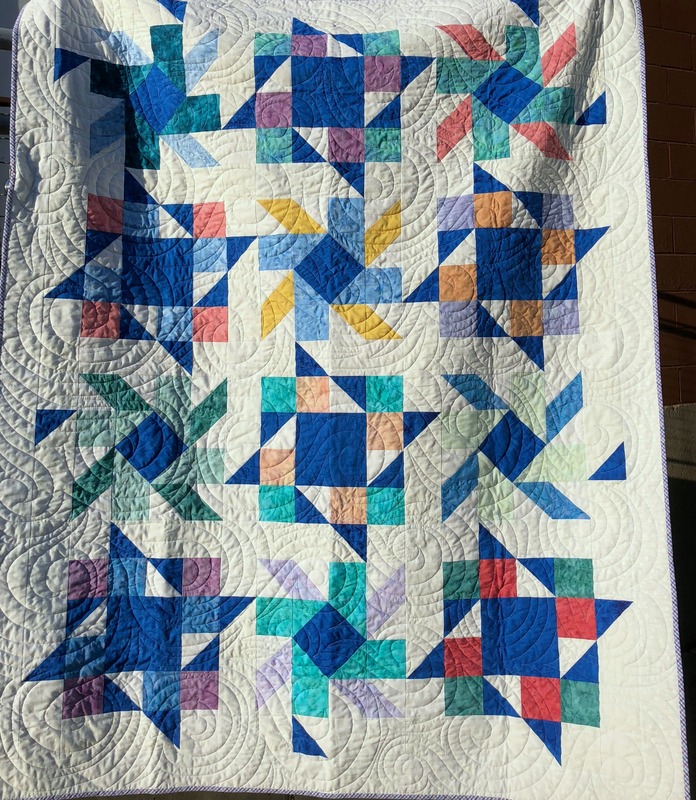 Quilted Jonquil | Greek Isle I Finished! 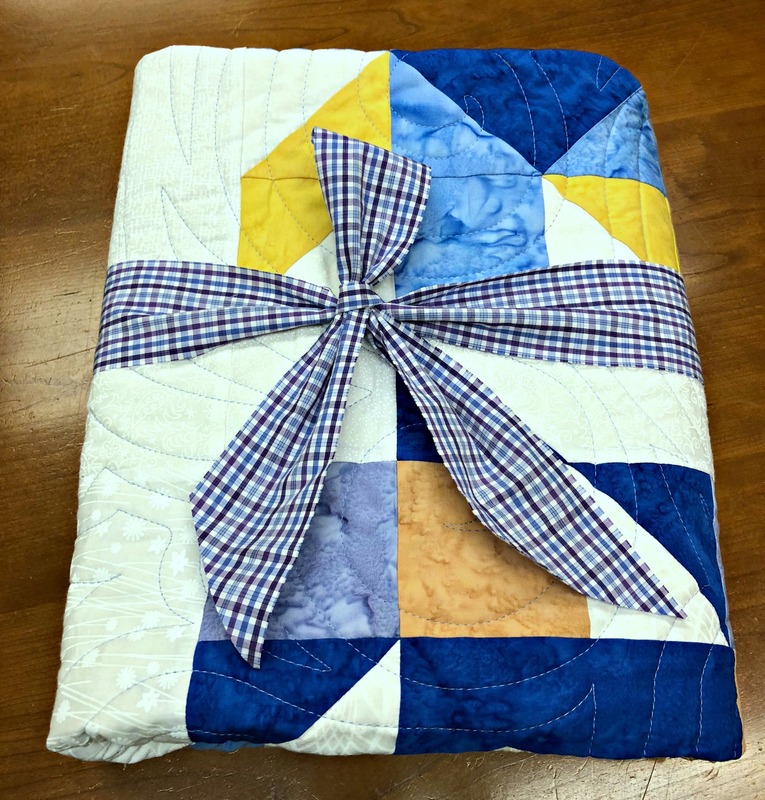 This entry was posted in First Sat Blocks, Quilting. Bookmark the permalink. LOVELY! And I like the idea of using a fabric bow (I’ve used selvages before but they aren’t as pretty as your shirtings). Very pretty! 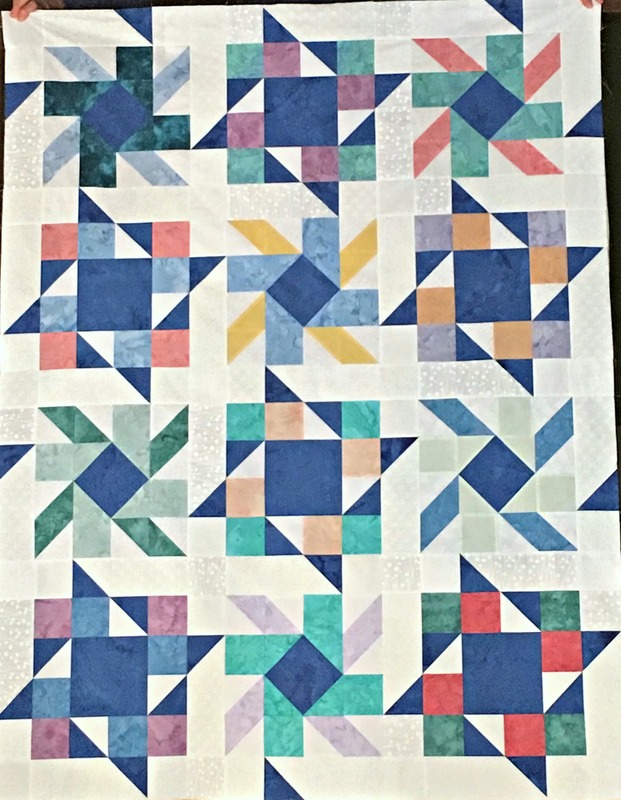 I like how you added the bonus triangles to the sashing to continue the spinning effect. I like your binding choice & bow, too.